Cookies & Jumbles; Sand Tarts. 1 pound of brown sugar 3/4 " " butter yolks of 2 eggs - white of one - roll thin as cookies, wash in the white of an egg, and sprinkle on sugar, cinnamon and almonds before baking. Wafers. 8 ounces of flour " " " sugar 4 " " butter 4 eggs. Roll as thin as paper cut round, wet with the white of an egg and sprinkle with white sugar. 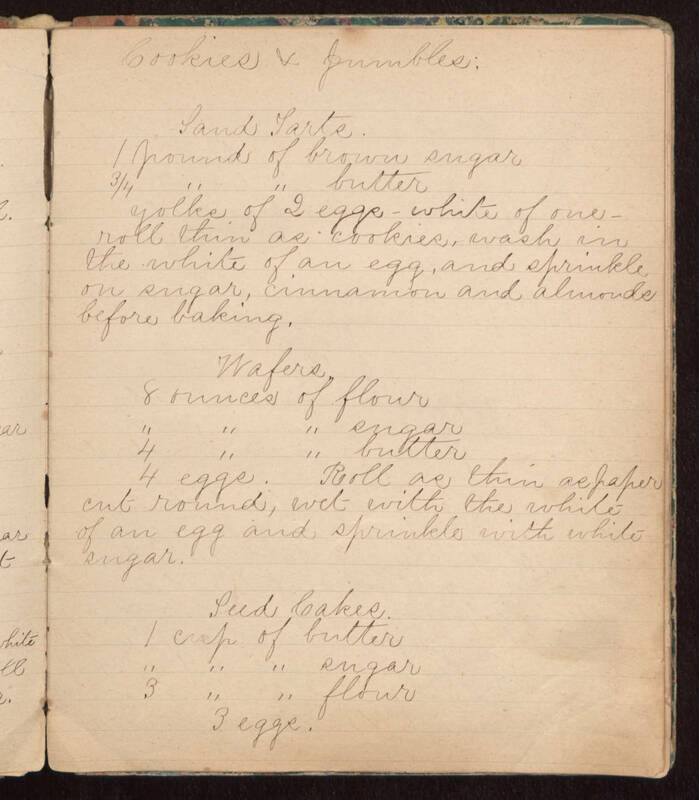 Seed Cakes 1 cup of butter " " " sugar 3 " " flour 3 eggs.